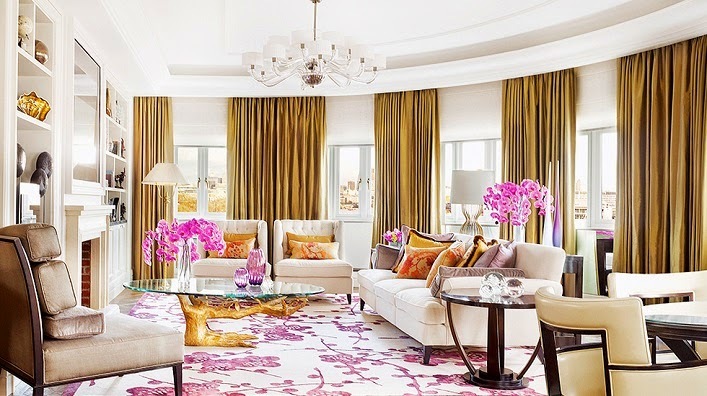 Check out The Royal Penthouse at the Corinthia Hotel London! It's gorgeous, luxurious and comes a price tag to match for $32,000 per night! Although most of us don't have that kind of money to spend for a night but we can still be inspired by this chic room, yes? I am swooning over that gilded branch coffee table, what about you? It is a lovely room, have to say that for it!